A Falconry Experience or Birds of Prey Day is a Great Gift. It will be loved and remembered. Falconry Experience Midlands: Although we are based in Leicestershire it is well worth the short journey from the Midlands. The Midlands (Birmingham airport) is approximately 50 minutes away. Read my reviews and see how happy people are and many travel from the home counties, Yorkshire and the West Midlands. Watch this video and see visitors enjoying their Bird on the Hand Falconry experience. Check out the smiles and wonderment. See for yourself how fantastic this gift is. Buy the Best! 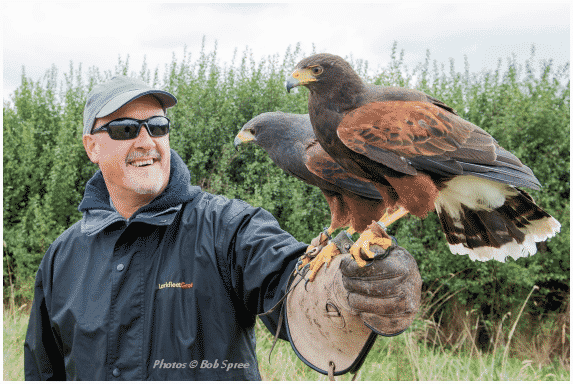 Buy a Bird on the Hand Falconry Experience Midlands! I have a great location here for your Falconry Experience in wonderful countryside with marvellous birds and a generous welcome. 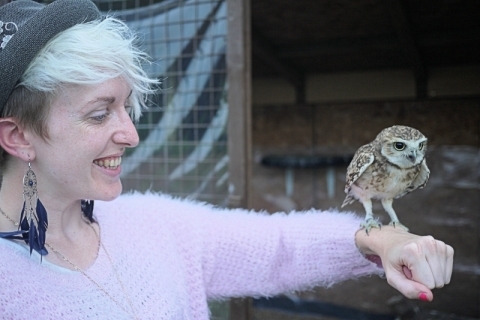 Charlotte on her falconry experience Midlands.